Each year in the month of October there are more things to be cognizant of than ghosts and ghouls, in fact something far scarier. That’s right, Cyber Security Awareness month is back, and with it our team is bringing you some new and updated resources. This month marks the 15 anniversary of the awareness program that DHS continues to lead. “NCSAM 2018 is a collaborative effort between government and industry to ensure every American has the resources they need to stay safer and more secure online, while increasing the resiliency of the Nation during cyber-threats.” You can access the official NCSAM toolkit here. 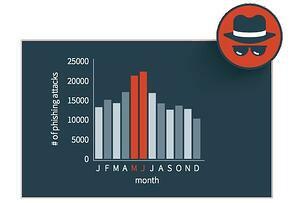 To kick things off we’ve reworked our phishing susceptibility calculator that highlights how impactful phishing can be on your organization. You can download it here. We’ve also launched the new Phishing Incident Response playbook, which is a white paper focused on how organizations should handle them and why training employees to report them is so important. Stay tuned to our resource page over the coming weeks as we release some additional resources and highlight members of our security awareness team. To learn more about Cyber Security Awareness Month head over to our new resource page for blog posts, videos, and more.